Try our new chicken products! The newest members in our chicken range. Tasty and crispy good after just a few minutes in the oven. - an exquisite sourdough loaf generously topped with the perfect blend of seeds and grains. First introduced in 2014, the Cinelle is a combination of Sweden’s two favourite pastries – the cinnamon roll and the Danish pastry. A delicious flaky pastry in a swirl filled with a sweet cinnamon or vanilla custard filling, topped off with icing this is sure to be a household favourite. The Original Snack No.1 from 1993! In the early 1990s, the Dafgård family traveled around the world to find new inspiration. By the Mediterranean, they found exactly what they were looking for. The pizza restaurants were selling pizza slices through a hole in the wall! Together with inspiration from US, with the exciting flavors of pan pizzas, the idea to the Billys Snack No.1 was born! 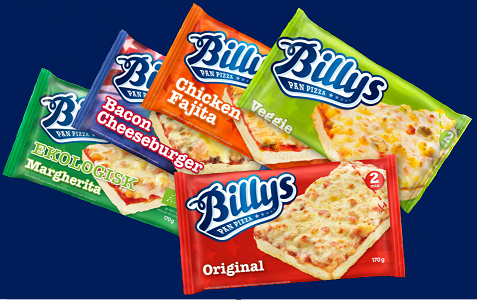 Not only are the pizzas exported throughout Europe, but Billys Snack No.1 is also the biggest frozen snack brand in Sweden with 1 snack sold every second! For more than 80 years, the Dafgård family has been making great food for millions of Swedish families. 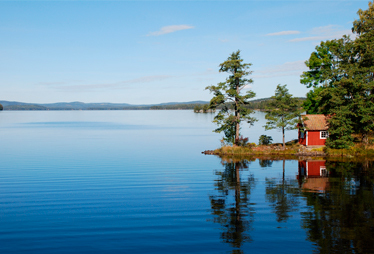 Since the business was established in 1937, production has remained in the same location in the small village of Källby on lake Vänern. The Swedish word for meatball (köttbulle) first appeared in Swedish print in Cajsa Warg’s 1754 cookbook. 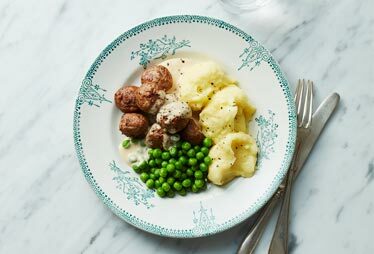 Swedish meatballs, smaller in size than those of Italy and Germany, are traditionally served with potatoes, cream gravy and lingonberry preserves.